They want to scoop up on baseball riches and they want it all. Baseball is a great sport for the bettor, the sharps live and die by this sport and they will be ringing the door bell from day one. If you want to make money this year, then you had better be ready. You must have a certain number of players to sign up for a pay per head. This is simply not true. You may sign up with one player, or with 1,000 players. There are very seldom limits when it comes to the number of players that you may have there is no amount too small and no amount too big. Pay per heads are expensive, “I could never afford this kind of service”. This one is by far the biggest misconception of all, and the truth of the matters is this; pay per heads are very affordable and you are not charged for any player unless they gamble at least one time during the week. The best news when it comes to signing up for a pay per head is this—no sign-up fees, and no upfront money. You pay once you start playing. What is the cost of a pay per head? The cost varies, however, the fee per head usually starts at around $10 and goes up slightly from there. Most pay per head services offer a standard plan that comes loaded with great features and then many of them offer premium services that may require an additional, but nominal fee. What is offered by a pay per head? A pay per head service is a turnkey bookmaking operation. 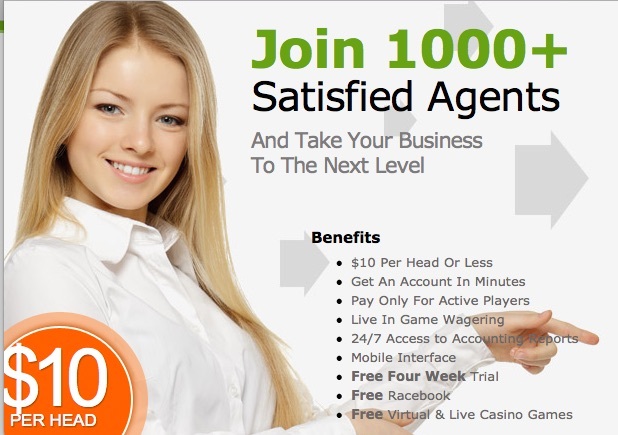 It’s software built for bookies and it will do everything that a bookie needs to have done. If you have ever been a bookmaker, then you know how difficult this job really is. There are many tasks that must be completed each day and there are many duties that goes along with the title of “bookie”. Most anybody that is a bookie now or that has been in the past, they understand how difficult this job can be. kicking off soon and this is the time of year to not be worrying about administrative hassles, but it’s the time of year when worrying about getting the money in is top priority. This baseball season is going to be a grind. It will be long and brutal, but hopefully rewarding in the long run. Having the best software to help you keep up with your wins, losses, money in, and money out, is the most important aspect of this betting season. No more accounting nightmares. Everything is done for the bookie, from player reports to daily cash flow reports. You will have the ability to know and understand how every dollar is spent and where every dollar ends up. Your clients can dial you up online and make their bets from the comfort of their own home or wherever they have internet access. All bet slip grading is done automatically, no more grading nightmares. Lines and odds are set, posted, and furnished for you. The even better thing is the fact that you can adjust the lines and odds at any time. If you don’t like the odds you see, you can adjust them or even take the game off the board. Wagering options are in abundance with a pay per head. If you want to offer futures, you may do so, if you want to offer live lines and dynamic lines, you may do that as well. Baseball offers many props as well as reverse lines, grand salami’s, totals, innings, fist halves, second halves, (runs, hits, errors) and so much more. If you care about your clients having options, then you must consider a pay per head. As mentioned before, baseball is the one sport that sharp players believe they can beat; they will die trying. What you must do is offer them every option possible. With a pay per head, you will have this ability. There are many great reasons to have a pay per head, but the number one reason is for peace of mind. If you are tired of the hassle but love being a bookie then you must give a pay per head a try. Anyone that has ever operated any kind of sportsbook knows that going a bookie business alone will cost you big profits. You must start thinking about your own ROI, you must start thinking about making big money now. The MLB season was too good to pass up last year and it will be that much better this season. The Red Sox have every reason to believe in their ability to make it back to the World Series but there are more than a few great teams that will give them a run for their money. The Houston Astros are going to be fantastic once again, the Dodgers, Brewers, Cubs, and Atlanta Braves will all be great teams and they all have a chance. Make sure that you are ready to make a killing this season and make sure that you can attract new players. Having a bookie business should be fun, it should not be a hassle, a headache, or a nightmare. If you have more than even one client and you are going this alone without a pay per head, then you are experiencing a nightmare! Dump all those problems this year and start fresh. Start making money and start having fun.